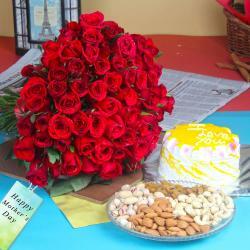 Product Consist : Bouquet of 20 Pink Roses along with 500 Gms Assorted Dryfruit. Mother is like a walking miracle as god could not be everywhere, and therefore he made mothers. It is a time to feel memorable moments. If love is sweet as a flower, then mother is that sweet flower of love. 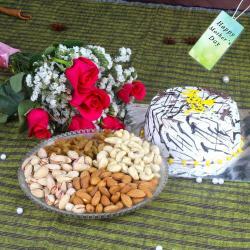 This season Dryfruit gift does a good job of providing a healthy snacks so mom gets a combination of balanced diet food. Send this Beautiful hamper on this day to make your mother happy. 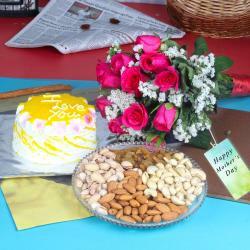 Whenever your mother get this kind of gift hamper its like she feels that she is in heaven of love with all the happiness of the world. 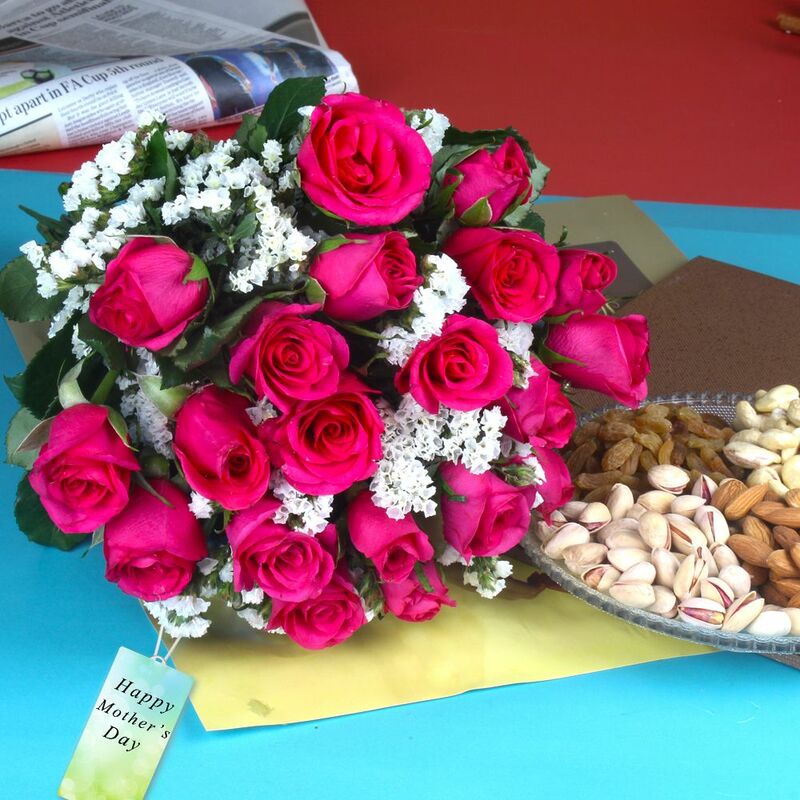 This Pink Roses with Assorted Dryfruits gift is exclusively available at Giftacrossindia.com only. 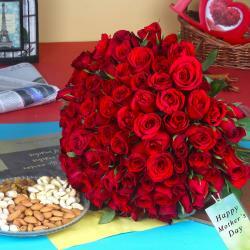 Product Includes : Bouquet of 20 Pink Roses along with 500 Gms Assorted Dryfruit.